I’ve recently gotten around to doing something that I’d been meaning to do since forever: diving headfirst into the history of Ancient Greece and Rome. Don’t get me wrong: I don’t really mind that my public schools didn’t feel the need to weigh me down with any obligatory worship of the “superiority of classical culture” that was impressed on previous generations. But just because we’re finally enlightened enough to admit that these guys were just slave-holding d-bags, doesn’t mean that these aren’t great stories. And the more I learn, the more I realize that I already know these stories in a roudabout way: I keep slapping my head and saying “Oh! This is where all the science fiction and fantasy comes from!” Our fathers and grandfathers had to memorize all these bizarre details of the rise and fall of these profoundly alien cultures. What could they do with all those useless facts in their head? They transformed them into new myths for a new generation. The Romulans vs. the Klingons, the Empire vs. the Republic, the Twelve Colonies vs. the Cylons, the Cimmerians vs. the Aquilonians… All of the arcane rules of “imaginary” civilizations that I had to learn as a child would have made a lot more sense if I’d known more about classical history. One of the greatest new myths created in my lifetime was a cartoon that played out quietly on Nickelodeon about ten years ago, attracting little notice outside of kids and their amazed parents. 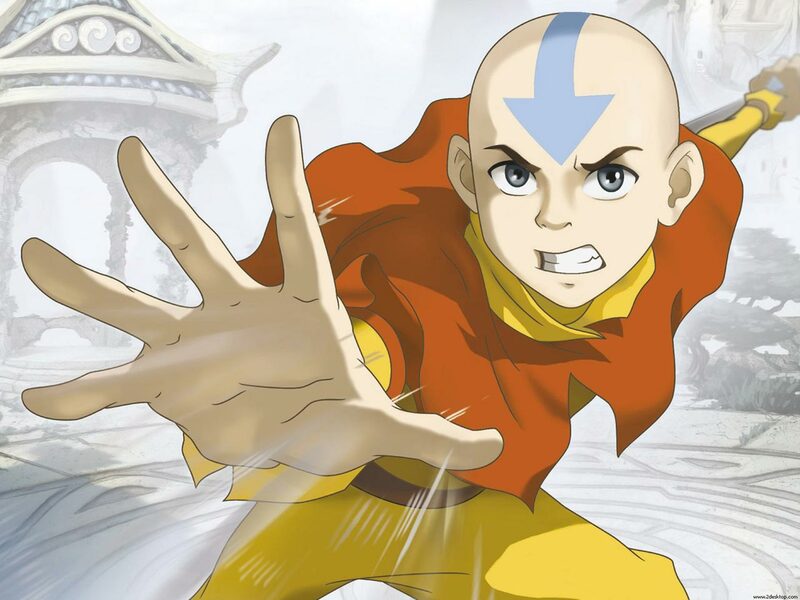 All this summer, the fine folks at the Onion AV Club will be reviewing every episode of “Avatar: The Last Airbender.” If you’re not familiar with the show (and I wasn’t either until I read the derisive reviews of the movie adaptation, many of which pointed out how much better the show was), you owe it to yourself to check it out on Netflix Watch Instantly. It’s epic all-ages storytelling at its best. The Onion’s Hayden Childs points out something in his opening review that hadn’t consciously registered with me: each of the four cultures on the show is based on a real, separate Asian culture, and each one manipulates the elements using a different real-world martial arts technique. This story presents a totally alien world with its own arbitrary geography. How do you handle the massive task of populating such a world?? The answer is: don’t start from scratch. Base everything on stuff from Earth history, just mix and match it. You would think that fantasy and space opera would be two genres that would require no research, but it seems that’s not true at all. If you start from scratch, you’re too likely to create a world that could never possibly exist. If you want to create a believable new world, the best writers borrow their blueprints from antiquity. It turns out that every writer has to hit the books.